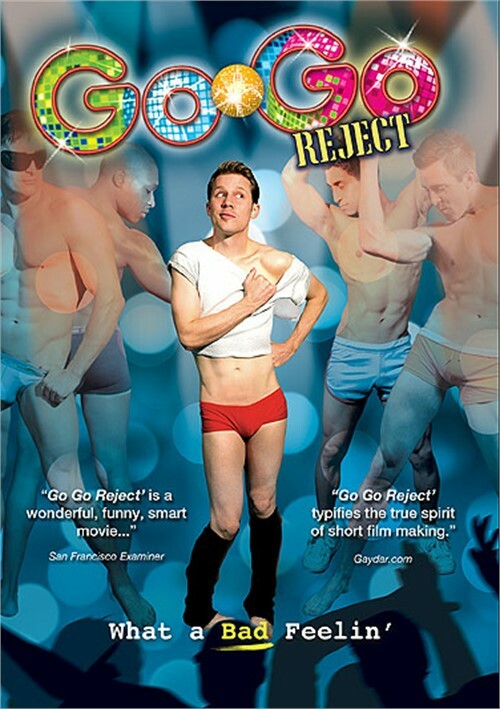 A skinny, naive go go dancer meets with unexpected rejection when he attempts to fulfill his childhood Flashdance fantasy in this warm and funny film. Wholesome and eternally optimistic Daniel Ferguson yearns to leave his job at Yogurt World and fulfill his childhood dream of becoming the Jennifer Beals of male go-go dancing. Daniel's Flashdance fantasy runs smack into opposition from club promoters, who are less interested in his dancing ability than they are the physical attributes of the more muscular dancers. With undaunted ingenuity Daniel turns his small frame into a huge success. Guaranteed to ship today if ordered within the next 9 hours and 18 minutes. Writer/star Heath Daniels shines in this witty, hysterical short film. The bloopers and outtake reel are worth the price of the DVD!!! Get in on the ground floor with this promising young filmmaker. Writer/star Heath Daniels is adorable and endearing at Daniel ? a young dance enthusiast with an innocence and wide-eyed naivety that suggest he might be cousins with Kenneth on "30 Rock." Daniel sits quietly at a gay club with his best buddy, wondering why so many of the shirtless guys on stage aren't very good dancers. Ever since he first saw Flashdance, he has aspired to become a professional dancer ? like his idol Jennifer Beals. He goes to the club's owner to ask for an audition, but is met with some hesitation. The owner thinks he's too scrawny for the spotlight. In everyone's estimation, go-go dancers don't have to be talented ? they just need to be attractive. Daniel then makes it his mission to prove everyone wrong. Though it is only nineteen minutes long, Go Go Reject packs in a lot of story and a lot to admire. The supporting cast is funny, the music is infectious, the choreography is eye-catching and the message that the film delivers is inspiring. There are also plenty of hot, Speedo-clad bodies on display ? they may not know how to dance, but they're still fun to watch. Daniel Ferguson dreams of being a go go dancer and he is totally and eternally optimistic about it. He wants to be the male "Flashdancer" and he wants to leave his job fixing yogurt to dance. However, it is not that easy and when he goes to the club to get a job, who reject him-not because of his dancing but they don't feel that he has the right body or enough muscles. This only discourages Daniel for a little while. This is a short film (20 minutes) that is a study of determination. Daniel (Heath Daniels) was rejected because he is too skinny and too white. On the way to his dream, Daniel meets Cesar, his "fairy godmother", (Korken Alexander) and his best friend Matthew (Matthew Bridges) is at his side. Daniel is just so cute that you cannot help but cheer for him. Michael J. Saul is director of this film that is so much fun that it is over much too soon. Daniel may be a nerd but he is a loveable one and Cesar helps him to develop his body. Daniels as Daniel is perfect and all of us who have ever been to a bar where there are dancing boys know that dancing is not the reason they got hired. Using humor and heart, director Saul gives us a very sweet and clever film with good acting, a good story and lots of eye candy. The film is based on what Heath Daniels actually experienced and He also steals this movie as he should. After all he wrote it, produced it and stars in it.